Can we just talk about how amazing this palette it? The rose gold palette is just so beautiful! I'm not even someone who is a fan of rose gold colored things and I was drawn to this palette! 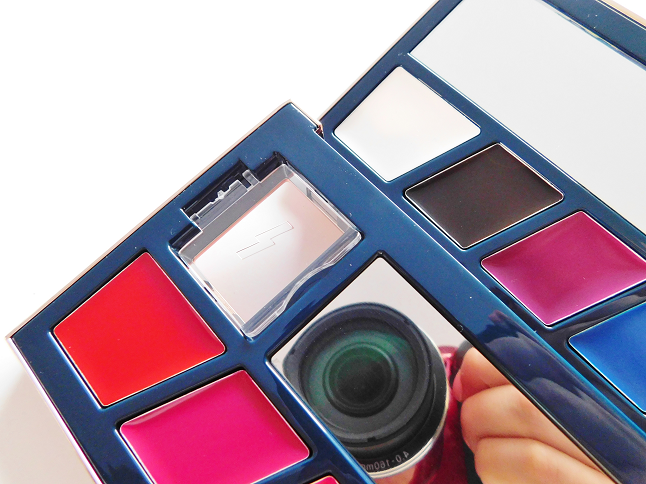 The Pony Effect Customizing Lip Palette is exactly that - a palette where you can personalize your own lip color. I bought this a couple months ago and I thought I would share my thoughts on the palette and whether it's worth your money or not. For those who don't know who Pony is, she's a famous Korean makeup artist who also makes videos on Youtube. 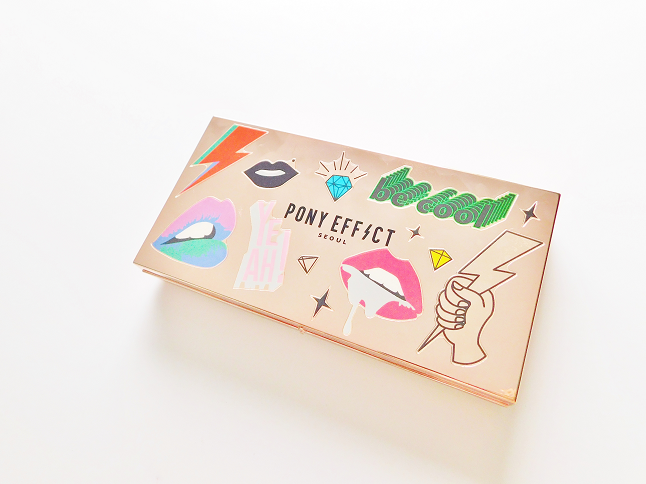 Pony Effect her line that she collaborated with Memebox. I've always wanted a product from Pony Effect and this is my first product and I'm really excited to share it with you all! Let's get started! 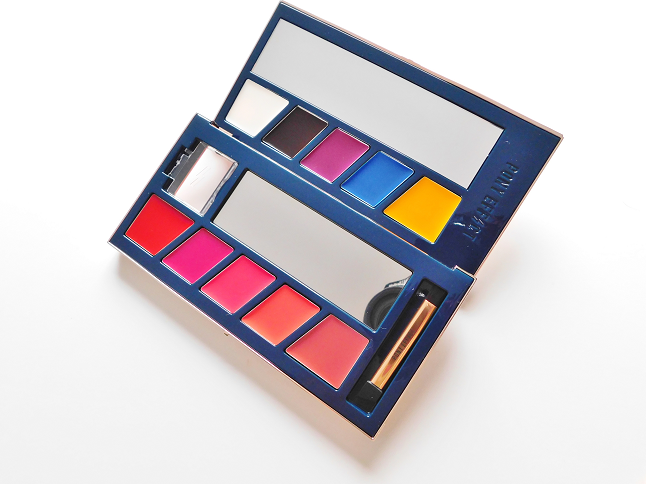 "This super customizable palette stars 5 base colors and 5 tone-adjusting hues so you can play around with endless shades to perfect any look. The sleep case even features a thumb hole so you can create your masterpiece with effortless hold and ease. Plus, it comes with a nifty dual-ended brush with a pointed silicone end for mixing and a flat end for smooth application." The Pony Effect Customizing Lip Palette comes with 10 lip shades, a dual ended brush with spatula, a mirror, mixing plate and a thumb hole all encased in a very trendy rose gold palette. The lip colors are surprisingly more pigment than they look, they're also creamy and moisturizing on the lips. The also colors blend in easily with each other creating gorgeous shades. 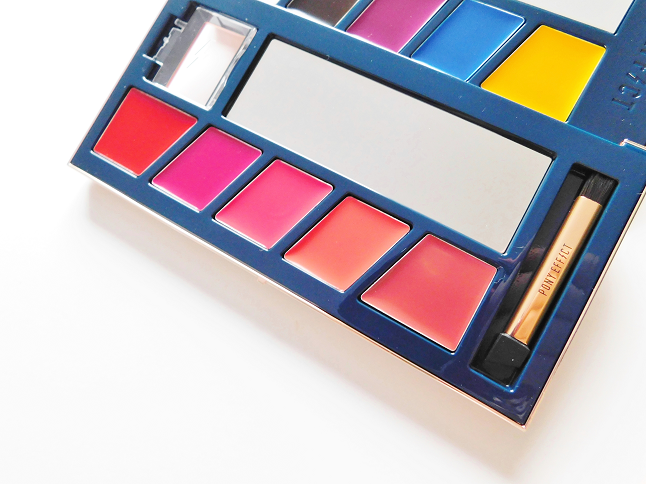 The palette comes with two mirrors but you are supposed to use the bottom one for mixing the colors together. On the other hand, the palette feels really light almost cheap, doesn't feel like $35 palette to me. 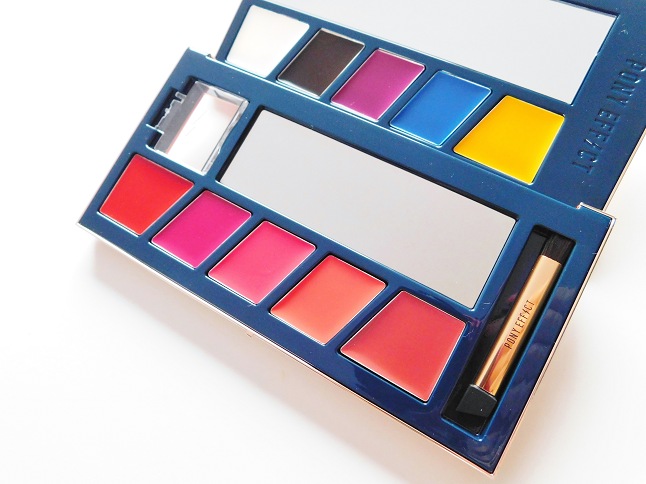 Another strange thing that I wasn't a fan was how reflective this palette is not the best for taking blog photos of but that's just my opinion. 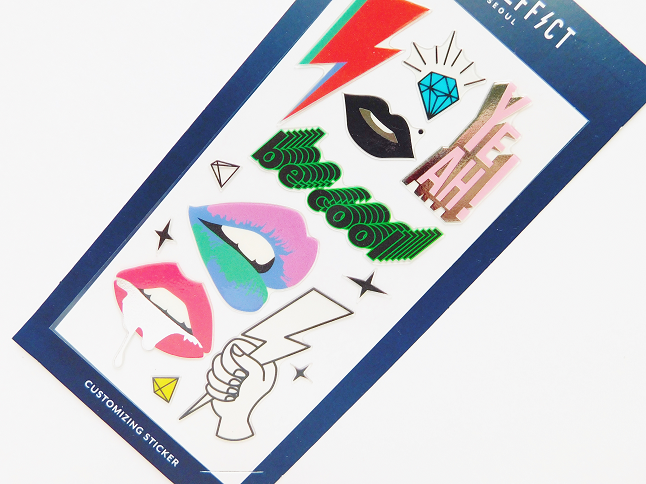 The stickers obviously helped but let's just say I had to use lots of different angles to get all these photos. When mixing the shades it can get messy so make sure to wipe the spatula in between each use to avoid the colors from mixing into each other. 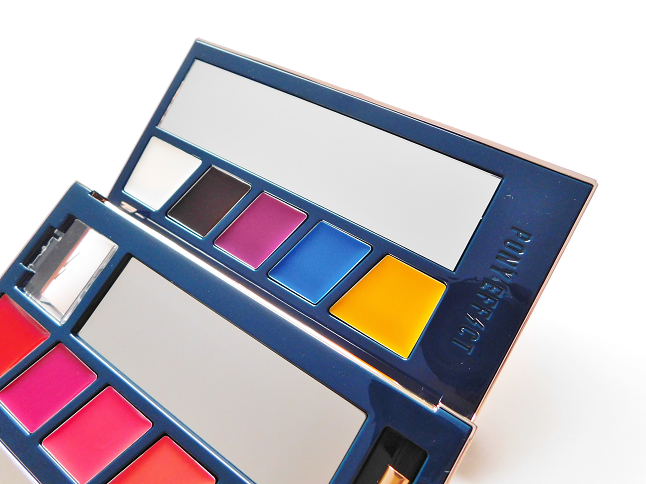 Since this palette is so shiny this means you can also get fingerprints all over the outside of the palette! This is a mini pamphlet that comes with the palette. It shows you some of the possible color combinations you can create. Sorry, I couldn't share swatches of the colors but my swatches never turn out that great anyways. Just google if you curious what the shades look like.